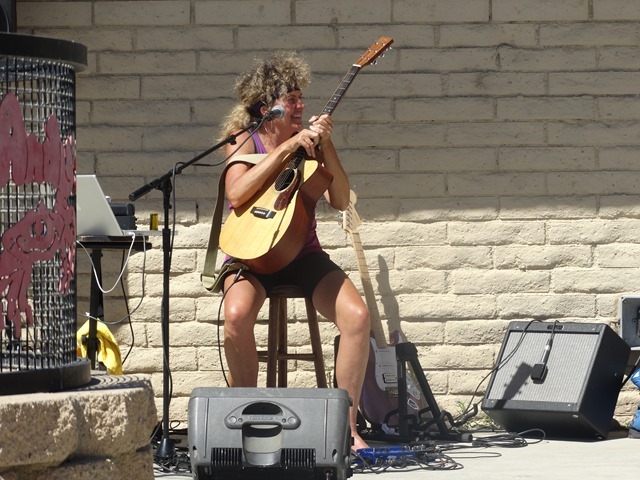 In looking forward to seeing Teresa Russell play tomorrow (Sunday 8/17/2014) at the Hueneme Beach Festival, it was a total treat to see her playing guitar on the patio of Seaside Seafood (it was called Andy’s back at least until early to mid- 2000s), which is located right next to the event. 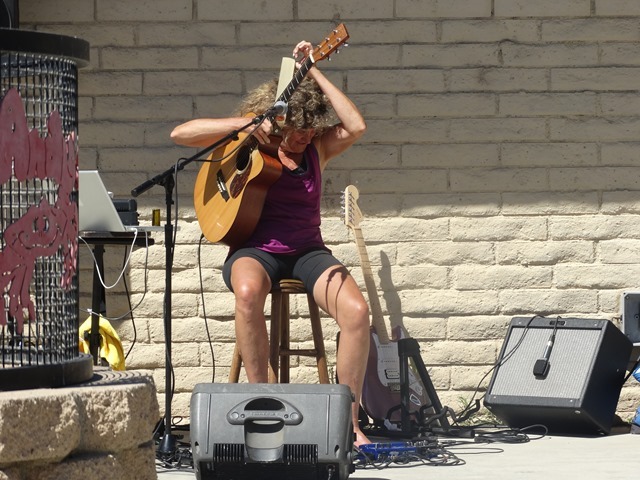 Teresa is a local guitar legend and could easily be considered the female Stevie Ray Vaughan of Ventura County. Along with her great vocal ability, she deserves to be up there with the true guitar greats. 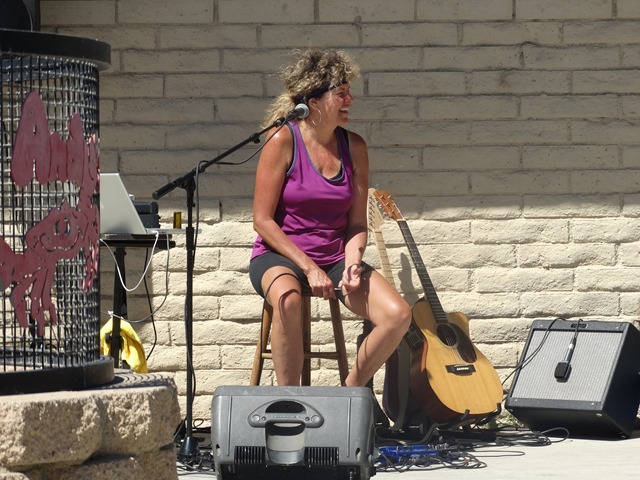 Most every casual, local concertgoer, music fan and fair event attendee has seen her perform over the years and she always delivers. After grabbing a seat on the patio situated on Hueneme Beach, Teresa tore into some incredible acoustic Spanish guitar – some of the best guitar work you could imagine. 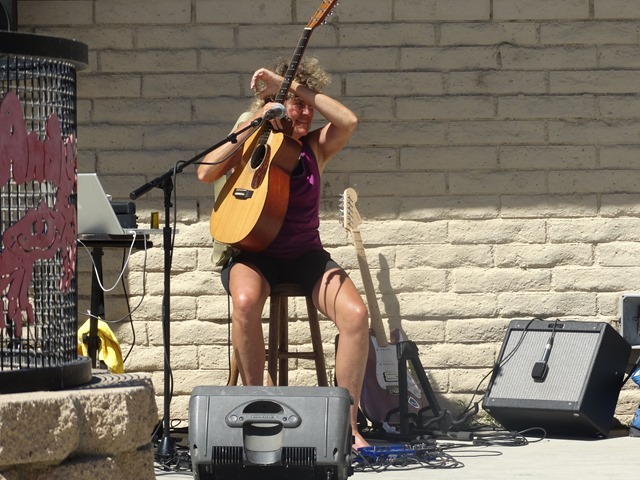 It was a true clinic of guitar playing and musicianship.